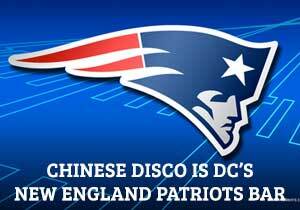 The best place to watch football in DC, Chinese Disco is the proud home of the New England Patriots and Penn State Football. 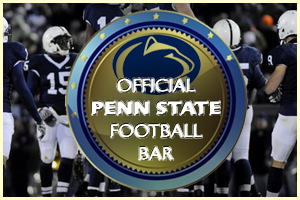 It’s our third year as the official DC PSU Bar and we take game watches very seriously. We’ll open at least an hour before every game pumping tunes to get your mind right for the game. It’s tailgate atmosphere with flip cup, pong, and shuffle board. We have 6 big screens and a 120 inch projector, all of which will be showing PSU with, of course, game sound. And get ready for fight songs throughout the game. This is as close as you can get to being in Beaver Stadium on game day. Every game we’ll have PSU Specials on Bud Light Buckets (that’s 6 cold 16oz froth dogs) and Growlers (that’s 6 cocktails of your choice), Fireball, Yuenglings and Stella, Bloodies, and Make-Your-Own Mimosa kits (bottle of champ, variety of fruit juices and garnishes). We also have a new menu designed by Chef Alex McCoy. Email – hunter@chinesediscodc.com to reserve seating for games. Chinese Disco is located at 3251 Prospect St. NW, Washington DC 20007. Located in the courtyard behind Cafe Milano.